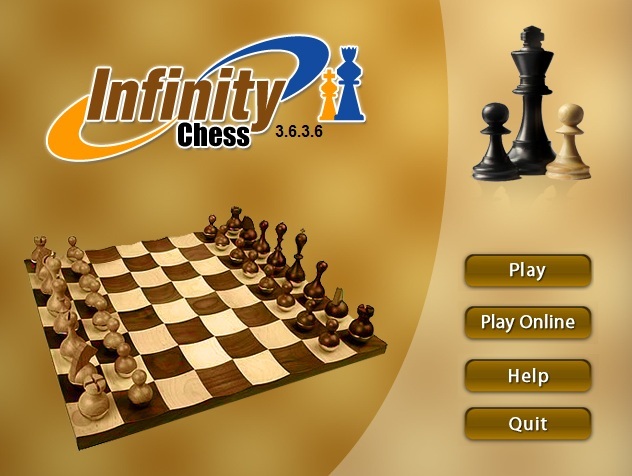 New site has come to play chess online using our engine and our books. 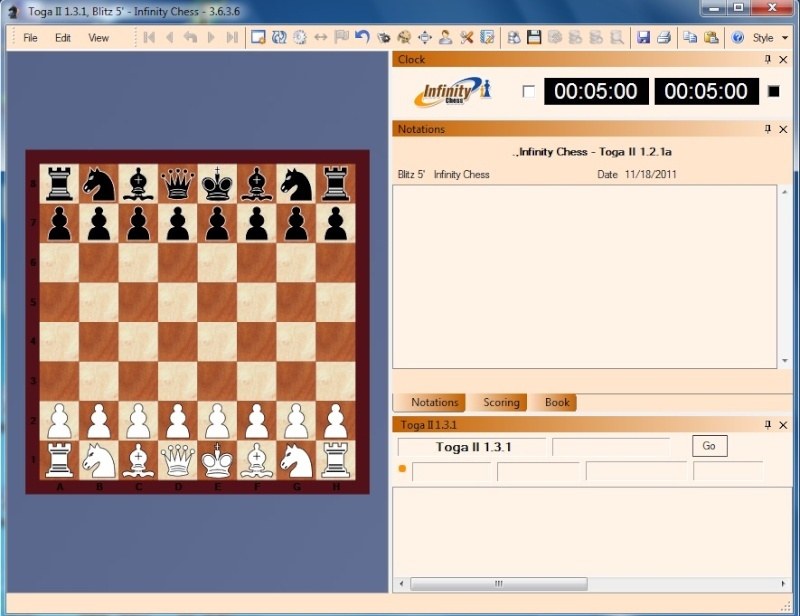 It looks the same as Playchess.com plus it is free. Do you know whether or not one can use it to broadcast tournaments as I currently do through TLCV? 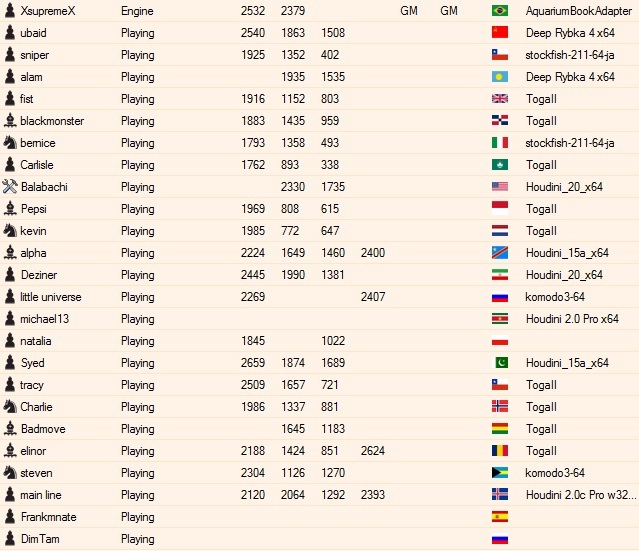 Yes, you just need to improve your account, cuz pawn status cant chat to everyone in room or everyone in server. PS 1 - The owner of the program said we cant load ctg yet, but soon it will be possible. The only way to use ctg is load Adapter like an engine. PS 2 - The program has some bugs, but relax! It is new and just started, it is getting fixed little by little. XsupremeX wrote: PS 1 - The owner of the program said we cant load ctg yet, but soon it will be possible. The only way to use ctg is load Adapter like an engine. Where can I find Aquarium adapter ? Can you tell me how to use it ? @maniwa wrote: Where can I find Aquarium adapter ? Yea, Let's hope for more improvements! Wish them the best. I'll be there once in a while too under Sicario nick. Hope they can improve but most of all accept CTGs. With CTGs in place I'm sure the site will skyrocket, no doubt about it. Who is the admin of Infinity room ? and from where ? One of the reason to game be slow in 1min can be because player doesnt have ctg book to be used in the games which will improve speed and also doesnt have EGTB option to be added in the GUI yet. I said that because tonight I could make 10 moves and clock still 1:00. Steve.R wrote: Who is the admin of Infinity room ? and from where ? 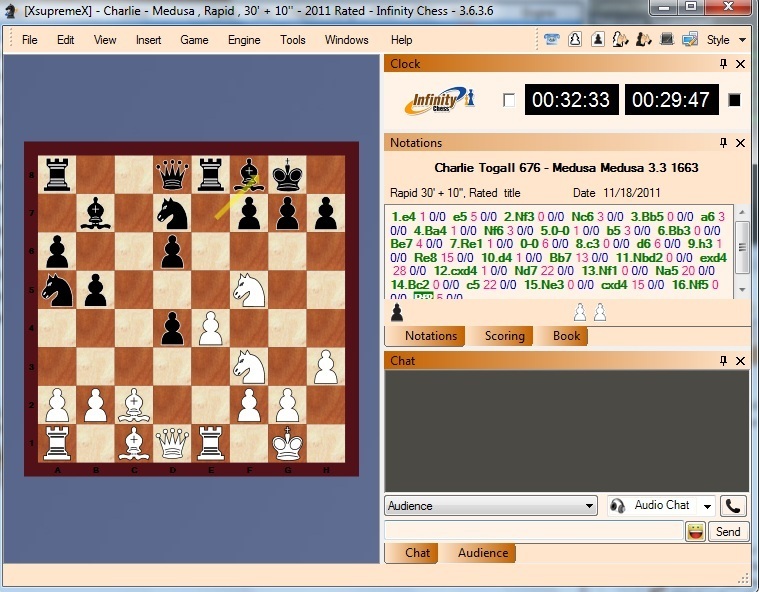 PS Please move this entire topic to correct section Computer Chess Software, GUIs Room. Sorry to have posted in General Topics Room. 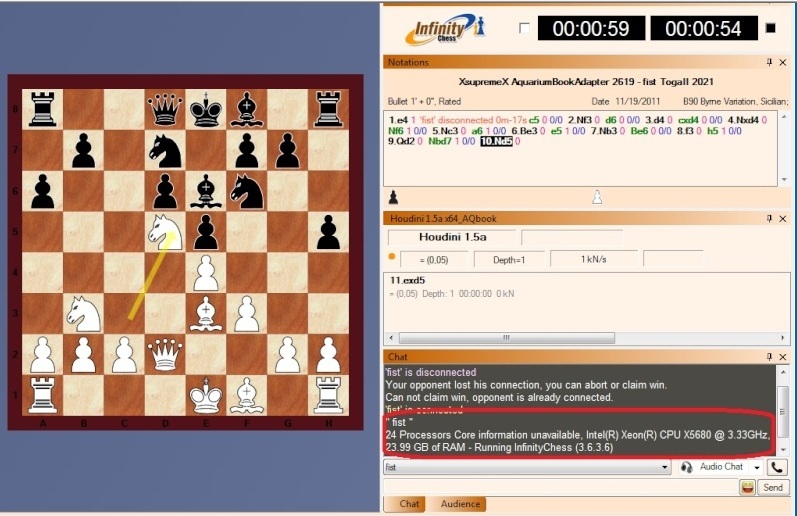 XsupremeX wrote: PS Please move this entire topic to correct section Computer Chess Software, GUIs Room. Sorry to have posted in General Topics Room. 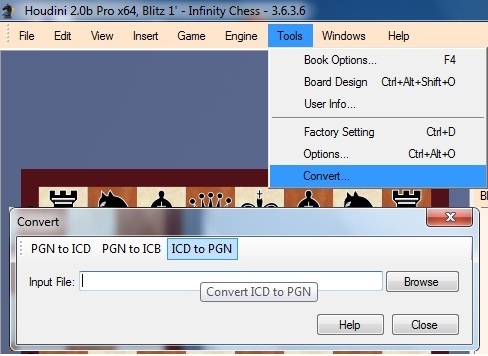 PS The games you play or observe in that site are all saved in ICD format but you can under "Tools" options convert them to PGN, then add the games in a ctg book and tune for improvements. seems very similar to playchess. and my engine (houdini 2.0c standard w32) makes only 200 kn/s is this a joke ? 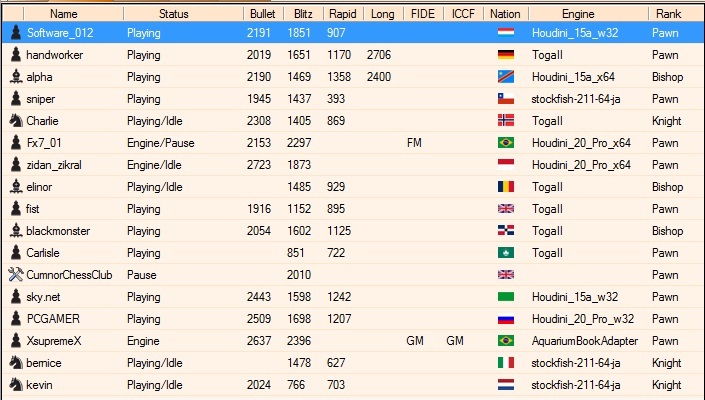 ok my hardware is not the best but on playchess or under fritz gui i make 3500 - 4500 ca.